We're glad you are here and would love to help you find your next (or maybe first) flute, piccolo, clarinet, saxophone or trumpet! All of the used instruments we list for sale have been serviced with all necessary parts and adjustments by a professional repair technician, and have been extensively play-tested before selling to ensure your *new* instrument sounds no less than excellent! Even the "never owned" instruments listed here take a trip to the shop to make sure they play the best they can play. Every item comes with a hassle-free 7 day return policy to allow you to have the trial period you need. We look forward to helping you find the perfect instrument FOR YOU! Online buyers: We accept payment via PayPal or Venmo and will ship via USPS Priority Mail. A 7 day return policy applies for all sales. For more info on our shipping/return policy click here. Local buyers: Inquire for an appointment at our office in Lawrenceville, NJ. Please note that we currently work by appointment only. We look forward to meeting you! Unsure of what model is best for you or your child? I'd be happy to discuss makes, models, specs and more to help you find the best instrument for you! Click below to view our inventory! Read reviews from previous customers! Pre-Owned- Now called "221" & "200AD"- Closed Hole, Silver Plated Head, Silver Plated Body and Foot, C Foot, Offset G, Made in Japan- from $295-$350- Several Available! Check out a plethora of head joints here! 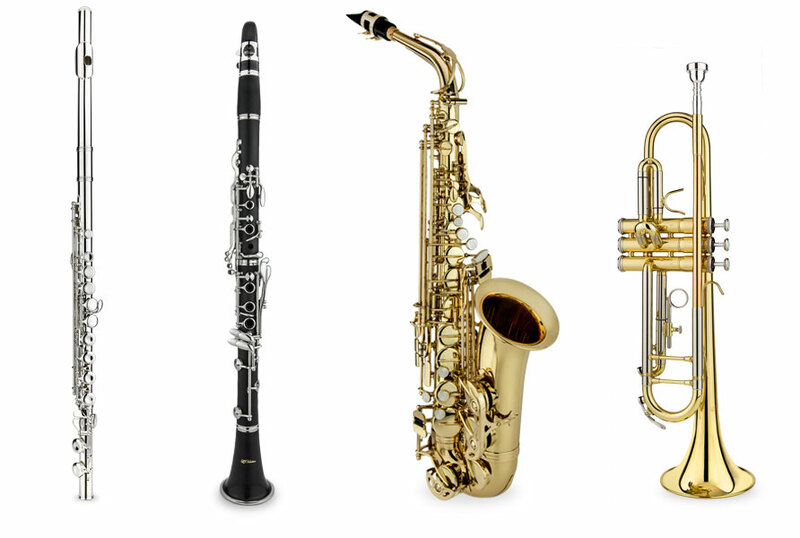 Fine tune your sound with head joints from Yamaha, Gemeinhardt, and Armstrong. Both pre-owned and "new old stock." Replace that old beat up case with a fresh one! $35 or $25 when buying a student flute. Compact Foldable Flute Stand- $13 or $10 with any flute. Leblanc Double Layer Silver Polishing Cloth- $9 or $7 with any flute. Yamaha 5335GS 'Allegro' Trumpets- Never Owned!